Photograph, Portrait of Donald Barthelme. Image available on the Internet and included in accordance with Title 17 U.S.C. Section 107. 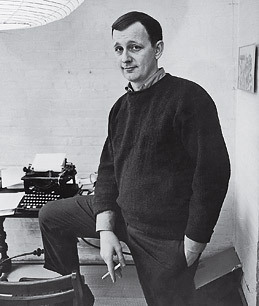 Photograph, Picture of young Donald Barthelme. Image available on the Internet and included in accordance with Title 17 U.S.C. Section 107. Handbook of Texas Online, Lisa C. Maxwell, "BARTHELME, DONALD," accessed April 24, 2019, http://www.tshaonline.org/handbook/online/articles/fbacr.